Auto accidents often result in devastating injuries, ranging from traumatic brain injuries to wrongful death. Among the most common and tragic of injuries suffered in auto accidents are bone fractures. While many bone fractures are relatively minor, even these can affect a person’s quality of life profoundly for a period of months if not years. On the other hand, severe fractures can cause long-term or even permanent physical, emotional, and financial hardships for sufferers. Whatever the case, people who sustain fractures in auto accidents caused by the negligence of other drivers should not have to suffer the financial burdens of their injuries on their own. The personal injury attorneys of Gary A. Zucker & Associates, P.C. have an extensive history of successfully representing auto accident victims and their families against negligent drivers. If you or a member of your family has suffered a bone fracture due to the negligent or deliberately wrongful action of another driver, we can help you pursue the compensation to which you are entitled for the losses and expenses related to the accident. As experts in litigation related to auto accidents and fractures, our Brooklyn, NY lawyers have the resources and skills to win even the most complex cases. Spine fractures: Spinal fractures can range in severity. Contrary to what many believe, not all spinal fractures result in permanent disability. Some actually heal without surgery, although victims will almost certainly experience pain and difficulty moving for a period. However, with severe spinal fractures, spinal cord damage is common, and paralysis is absolutely possible. Skull fractures: Skull fractures are among the most common causes of traumatic brain injury. Facial fractures: Facial fractures can cause permanent vision and nerve damage, as well as disfigurement to the facial features. Rib fractures: Fractures of the ribs can make moving, speaking, and even breathing extremely difficult and painful. Pelvis fractures: One of the more common fractures in serious auto accidents, pelvic fractures can prevent victims from walking for months, after which they will require intensive physical therapy. Hip fractures: The most common of all fractures, hip fractures are painful and debilitating. In elderly people, hip fractures can result in potentially lethal complications. Wrist fractures: People who suffer wrist fractures in auto accidents may never regain full range of motion in their hands. 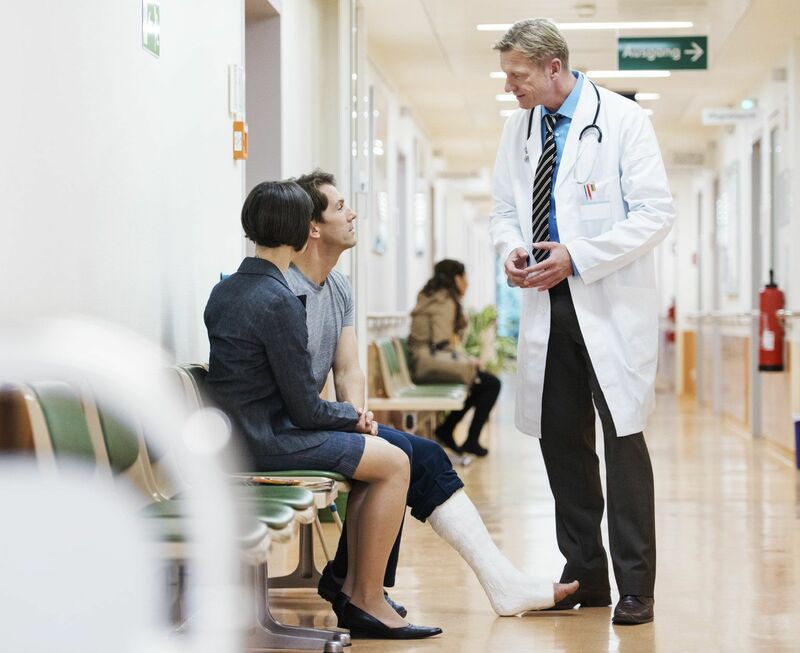 Tibia and fibula fractures: As with wrist fractures, people who suffer tibia and fibula fractures may never regain 100-percent use of their legs and ankles again. Collar bone fractures: This is one of the most painful fractures, one that makes use of the arms impossible for several months. If you or a member of your family has suffered a fracture in an auto accident, we urge you to contact The Law Office of Gary A. Zucker & Associates, P.C. for a free evaluation of your case today.